Two pockets of mixed grass prairie on the Montana/Saskatchewan border, left relatively undisturbed, have been designated Grasslands National Park. 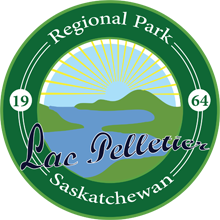 The park’s size will increase as land becomes available for purchase from the ranchers until its full size of 900 square kilometres is reached. Rolling terrain covered with long and short varieties of grasses inhabited by prairie animals and birds, many of which are on the endangered species list, are protected by the park. The park also abounds with evidence of early human activity dating back thousands of years.